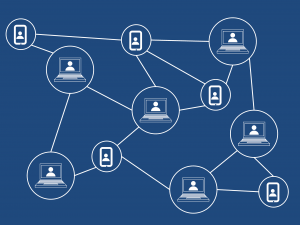 The initiative « Blockchain Advanced Research and Technologies » is currently the largest academic research collective dedicated to Blockchain in France. Researchers at India, Telecom ParisTech, Telecom SudParis and SystemX will remain affiliated to their institutions, but will work together according to a common roadmap structured around 6 objectives: theoretical models, scaling up and monitoring tools, security, architectures, data confidentiality and economic models/regulation. ACES researchers involved in BART are P. Kuznetsov, G. Memmi, S. Tardieu, L. Pautet. SEIDO is a joint laboratory, EDF and Telecom ParisTech, dedicated to the Internet of things and cybersecurity, and to their utilisation in the power grid to overcome the challenges arising from the advent of Smart Grids. Telecom ParisTech has strong skills in computer networks, telecommunications, information systems, and computer networks security, while EDF Lab brings expertise on smart metering, electric vehicles, and customer relationships. ACES researchers involved in SEIDO are J. Leneutre, T. Robert, S. Vignes, E. Najm. The Chaire « Ingénierie des Systèmes Complexes » is an academic chaire concerned with cyber-physical systems and distributed control systems. It is sponsored by renowned industrial actors such as Thalès, Dassault Aviation, DCNS and DGA and run by the academic actors École polytechnique, ENSTA ParisTech and Télécom ParisTech. ACES researchers involved in ISC are L. Pautet, E. Borde, D. Blouin. 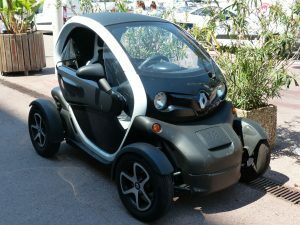 The Chaire « Connected Cars and Cyber Security » focuses challenges related to cybersecurity in the connected and autonomous cars. The different research tracks concern analysis of risks and dependability ; protection data and data flows – cryptography and agility ; authentification, identity and behavioural footprint ; resilience by design ; privacy in connected cars (legal and societal aspects). The chaire is sponsored by Nokia, Renault, Thales, Valeo and Wavestone. ACES researchers involved in C3S are E. Borde, J. Leneutre, L. Pautet. 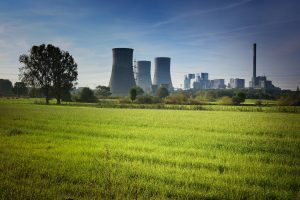 The Cluster « Contrôle Commande Nucléaire Numérique pour l’EXport et la rénovatION » aims to propose and validate an innovative architecture of control-command platforms adapted to nuclear power plants in France and abroad. This architecture integrates a set of technological bricks developed by the academic partners (CEA, INRIA, CNRS / CRAN, ENS Cachan, LIG, Telecom ParisTech) and based on collaborations between major integrators like AREVA and ALSTOM, the EDF operator in France and embedded software techno-providers (Atos Worldgrid, Rolls-Royce Civil Nuclear, CORYS TESS, ESTEREL Technologies, All4Tec, Predict). ACES researchers involved in CONNEXION are S. Vignes, T. Robert, G. Memmi. This project aims at better understanding of what can and what cannot be implemented in specific distributed environments. In particular, we intend to apply the power of modern mathematics in deriving new algorithms and tight lower bounds for distributed computing problems. ACES researchers involved in DISCMAT are P. Kuznetsov. CORAIL is a funding program for research on « AME : Avionique modulaire étendue » (extended modular avionics). The project aim is to investigate and develop component of this next generation of avionic architecture. ACES researcher, T. Robert, participated to this project investigating the functionalities and real time features of a secure gateway for such systems. S3P (Smart, Safe and Secure Platform) is a collaborative project funded by BPI France aiming to develop, improve, and experiment platforms for highly critical embedded systems. In this project, platforms are mainly: operating systems, development methods, and development tools. These platforms are specialised for the development safe and secure embedded systems. ACES researcher, E. Borde, participated in this project to integrate new scheduling methods for mixed-criticality embedded systems in the RAMSES (Refinement of AADL Models for the Synthesis of Embedded Systems) platform (development tool). ACES researchers involved in SP3 are E. Borde, L. Pautet and D. Blouin. ELA (Electronique et Logiciels pour l’Automobile) aims to address the new technological and economic challenges of the connected car and driver assistance systems. Its main mission is to propose a new architecture of embedded electronics in the automobile and to choose, adapt or develop its technological components. The project addresses four issues : virtualisation: sharing computing power in a multicore environment and real time ; intensive image processing: algorithms image processing (camera, radar, …) adapted to the embedded environment ; networks and digital security: communication and security of exchanges of embedded networks and between the car and its environment ; system design: model-oriented design,security verification, independence between software and hardware architectures. ACES researchers involved in ELA are T. Robert and L. Pautet. The FSF project (Fiabilité et Sûreté de Fonctionnement) aims to encourage the emergence of a sector around the execution platforms for railway systems, both large and urban lines. More specifically, the work carried out within the project has met three main objectives. It organises hardware resources and operating software so that the execution platform achieves the performance, dependability, availability, and security objectives for a given system. It specifies the required services and characterises the resources available between the execution platform and the software subsystems so that the independence of the design cycles of both parties can be ensured. It integrates into the software design workflow a continuous validation process that takes into account the characteristics of the execution platform configured for the system under development. ACES researchers involved in FSF are E. Borde and L. Pautet. The ISC project (Ingénierie des Systèmes Complexes) aims to develop processes focusing on collaboration between several industrial partners at different design in the context of Model Based System Engineering (MBSE) and using the latest generation of digital techniques. This includes the definition and the development of collaborative processes between stakeholders (by respecting the respective areas of responsibility), the management of complexity (by clarifying and simplifying data exchanges between stakeholders, particularly on models and co-simulation of the system in a dynamic and multi-physics context) and the design of architectures (by strengthening the overall vision of decision makers by evaluating and comparing different alternatives in presence of uncertainty through a powerful collaborative platform). ACES researchers involved in ISC are E. Borde and L. Pautet. The CTI project (Cybersécurité du Transport Intelligent) aims to conduct industrial research work for the three application domains of the automotive, rail and aeronautics sectors and thus to transpose good practices and IT solutions (secure architectures, design secure, protocol breaks, isolation) the most innovative and relevant to the world of cyber-physical systems where cybersecurity directly impacts the safety of operation. From a technological point of view, the CTI project will work to federate and pool skills around a platform for research and experimentation in cybersecurity, dedicated to intelligent transport systems. Through this platform, the project will take into account the increasing complexity and scale of security threats targeting new and increasingly autonomous transportation systems. ACES researchers involved in CTI are E. Borde and L. Pautet.